Where are the startup files located and what are the changes to provide this? You should start by adding your chosen commands to S/User-Startup on your boot volume. You can also refer to it as S:User-Startup; S: will redirect to the S directory on the boot volume. This will definitely work on Workbench 2.04 and later, and may also work on earlier versions too (some application software "backports" the necessary support to Workbench 1.3 systems). If this doesn't work, then your system most likely doesn't support S/User-Startup. This is normal on the earlier Workbench versions. In this case you'll have to make a change to the system startup file. This is called S/Startup-Sequence on your boot volume. If you add the command NewShell in between these two lines, it should do what you are looking for. Not the answer you're looking for? 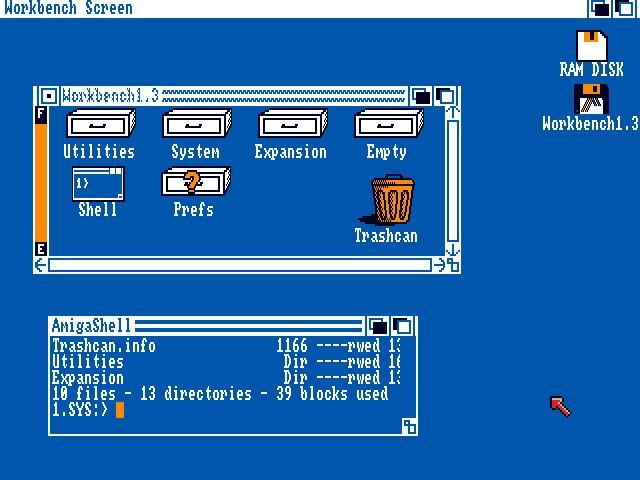 Browse other questions tagged amiga boot amiga-shell amiga-workbench-1.3 or ask your own question.